This world-renowned extra strength pain relieving ointment soothes aches and relieves tired, sore, and strained muscles. Millions of people around the world praise this 100-year-old Chinese formula. Manufactured from the finest and purest ingredients and used under the strictest supervision of highly trained and qualified pharmacists, sports doctors, chiropractors and holistic practitioners. No animal fats or chemicals are used. 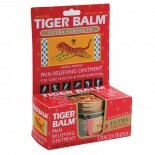 ..
Ultra Strength Tiger Balm contains more of the pain-relieving menthol found in our extra strength Tiger Balm. Helps sooth the aches and pains of training and working out. Just rub it on and feel it go to work. Also a non-staining formula so it won’t get on your clothes or uniform. 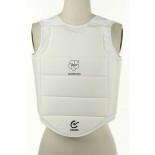 Great for athletes and martial artists. .. 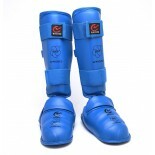 Provides penetrating relief for sore muscles. Great when using massage oil after workouts or just relaxing. 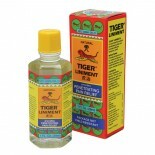 Even more effective when used in conjunction with Tiger Balm ointment. 2 oz. ..
Tiger Balm in a portable container. 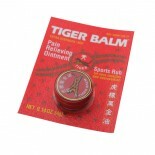 Small but as effective as the original extra-strength Tiger Balm ointment. 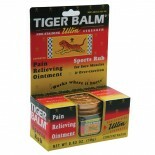 This world-renowned extra strength pain relieving ointment soothes aches and relieves tired, sore, and strained muscles. Millions of people around the world praise this 100-year-old Chinese formula. Manufactured from the finest and purest ingredients and used under the strictest supervision of highly trained and quali..